Ostrowski Law Firm Co., L.P.A. is law firm centrally located in Springboro, Ohio. Ms. Ostrowski represents clients involved in litigation in most of Ohio's major cities and counties in both state and federal court. 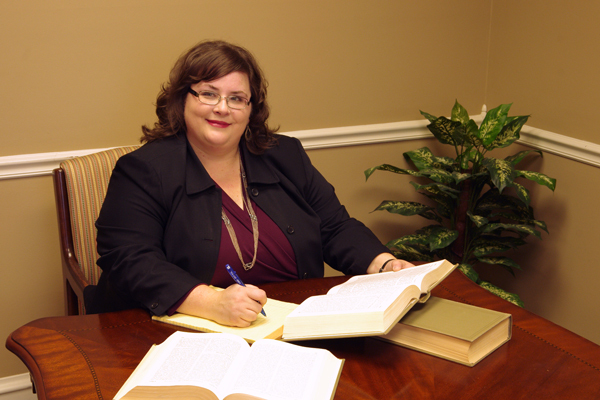 Ms. Ostrowski has the experience to handle all of your legal needs and will work with you to achieve the best result. Ms. Ostrowski knows that everyone leads a busy life, so she offers flexible meeting locations and times, including evening and Saturday appointments. Depending on your issue, Ms. Ostrowski may offer a free consultation to discuss your situation. Ostrowski Law Firm is located near the heart of Historic Springboro, on the SE corner of State Routes 73 (Central Ave.) and 741 (Main St.). Please contact us for more information or to arrange a meeting. Andrea G. Ostrowski is the founder of Ostrowski Law Firm Co., L.P.A. Ms. Ostrowski was born in Dearborn, Michigan. She graduated from the University of Michigan with an undergraduate degree in Business Administration. In 2002, Ms. Ostrowski graduated from the University of Dayton School of Law where she had been a member and a Production Editor of the Law Review. Ms. Ostrowski was admitted to practice before the Supreme Court of Ohio in November of 2002. Ms. Ostrowski is also admitted to practice before the United State District Court, Southern District of Ohio and the Sixth Circuit Federal Court of Appeals. Ms. Ostrowski gained experience in plaintiff's and defense litigation while working for two law firms in Dayton, Ohio, prior to starting her own practice. Ms. Ostrowski is a member of the Ohio, Dayton and Warren County Bar Associations. In 2014 Andrea received the Warren County Juvenile Court Award for her work as an attorney, guardian ad litem and representing CASAs. She has been a recipient of the Super Lawyers Ohio Rising Star Award for three consecutive years (2015-2017). Andrea has also received the Expert Network Distinguished Lawyer Designation.